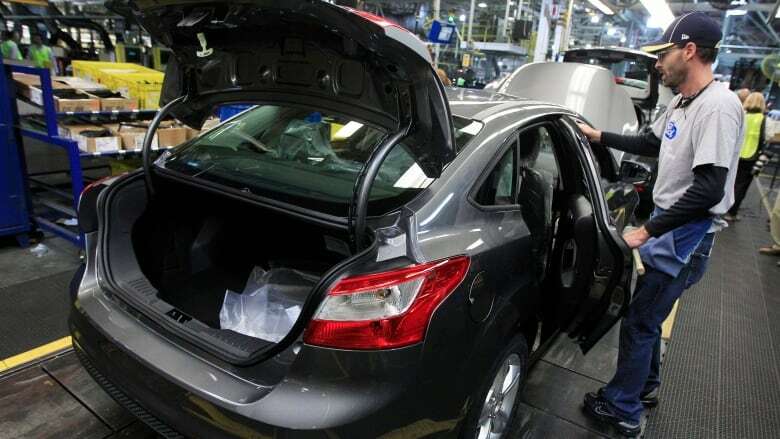 Ford's decision to discontinue almost all of its car models in North America within two years will leave its Canadian operations intact, since they are already focused mainly on sport utility vehicles and light trucks, the company says. Ford's decision to discontinue almost all of its car models in North America within two years will leave its Canadian operations intact, since they are focused mainly on sport utility vehicles and light trucks, the company says. The car segment of automotive sales has been shrinking since 2012, while sales of sport utility vehicles have grown over the same period — a trend that's expected to continue. The company's Oakville, Ont., complex currently assembles the Ford Edge, Ford Flex, Lincoln MKX and Lincoln MKT — all sport utility vehicles. Ford moving all small car production to Mexico from U.S.
"Also, if I take a look at our Windsor engine plants … I think we should be all right there as well." Negotiations surrounding the North American Free Trade Agreement are another factor, he added. Ford said Wednesday — when it announced first-quarter results — it's aiming for an additional $11.5 billion in cost cuts and efficiencies, bringing the total to $25.5 billion expected by 2022.